The Evil DM: This is how I roll! : No, your character doesn't need all high stats to play a game of D&D. No, your character doesn't need all high stats to play a game of D&D. Something that has always bugged me in D&D and this dates back to the days of playing D&D in the '80s, but its more of a thing since the "MMO/video gamer generation" (let's go with that for now) has moved into playing D&D, was that all their stats have to be high, and anything less then having a +2 modifier on your stats was a "waste of time". I play MMOs and I play games on the PS4, but I realize that things in D&D vs things in say Middle-Earth: Shadows of Mordor differ. 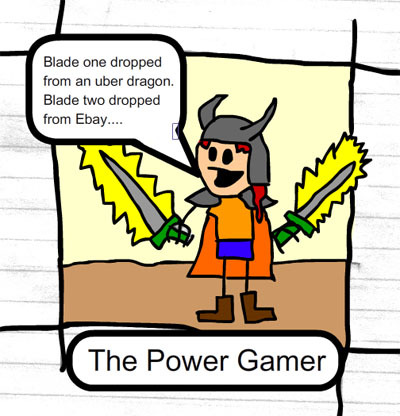 I realize I can't have all those super cool moves and bash my way through things like an unstoppable killing machine in D&D, because its two different types of gaming. In D&D you have to work at it, build your character, "Grow him" to be the mega powerful being you see in the games you love to play. Sure you can set him up and even with the right DM mimic the way he acts in the game OVER TIME. When I first started gaming back in Original Dungeons & Dragons, my DM at the time, made us roll 3d6 record the results on paper and place them in order for the stats as they rolled. Didn't like it? Sure roll again. Still didn't like it? You could roll once more but you had to take that final result set of numbers. From here, you needed to pick your race/class. Blah blah blah. So fast forward now to 2017, the hobby is booming and we get these folks complaining because they have stats that are, 15, 14, 12, 10, 18, and 8. It just seems unless their stats are all 18s across the board, the character "blows". Now what have I done to tackle this problem over the years? I've moved to the Standard Array of numbers listed in the book along with adding, "no stat may go over 18 even with racial adjustments to start." This has caused some whining from people, but normally I have the group on my side here. Session 0 we all sit down and go over the rules. I ask for any concerns and questions. If no one objects we move forward, if someone does we go over it and I ask the group. Then we all agree on moving forward.